A TPP sandbox action game, based on the cult film franchise by George Miller. The production was developed by Swedish studio Avalanche in collaboration with Warner Bros. Interactive. 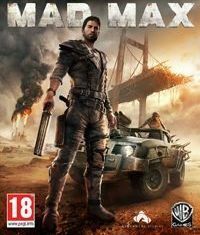 Mad Max for PC, PS4 and etc. is a third-person action game set in an open, post-apocalyptic world, reminiscent of the cult series of films by George Miller, whose debut took place in 1979, and Mel Gibson a world movie star. The Swedish Avalanche Studios, the creators of Just Cause cycle, is responsible for the interactive version of the crazy adventures of Max. The publisher of the game is Warner Bros. Interactive Entertainment, specializing in games based on movie licenses. The game's story does not refer directly to any of the previously created movies, but tells a completely new story, using only iconic elements characteristic of the entire series. In the game we assume the role of the eponymous Max, who after losing his legendary V8 Interceptor vehicle sets off on a journey through the vast, post-apocalyptic wasteland. The purpose of his journey is to construct a new machine, which equals the performances of its legendary predecessor. However, this is only an introduction to the many adventures awaiting on the way of the protagonist. Max hopes to find the legendary land known as the Plains of Silence, where he can finally find peace and solace. In situations where we will not be able to count on the support of our vehicle, Max is forced to fight his enemies in the old-fashioned way. Our arsenal will include various types of firearms. However, since it is quite difficult to obtain ammunition in the wasteland, the most reliable weapon are often Max’s fists. The developers leave us the choice whether we want to engage in open battles, or enjoy a stealthy methods of eliminating enemies. As befits a decent game based on a film, the designers ensured that the Mad Max for PC, PS4 and etc. has a detailed graphic design and spectacular special effects. Due to the specific climate of the universe, well known to all fans of the film, the game is dominated by vast deserts and rocky landscapes. There is dirt and decay is seen at almost every step, while the buildings erected by human hands look like they were hastily cobbled together from parts found in junkyards. Similar impressions are evoked by characters and creative vehicle designs characteristic of Mad Max. The guide to Mad Max is a large compendium that contains all important information about the gameplay of the game.